Once again we’re thrown into the mass hysteria of the greatest love holiday in the Western hemisphere. With only a few days left until Valentine’s Day, a large percentage of people are getting ready to surprise their loved ones with some sort of romantic gift. Those are usually: candy, flowers, jewelry, romantic dinners, or something more imaginative. Though everyone knows that love should be shared and expressed all throughout the year, Valentine’s Day inspires people to soften up and make some serious decisions, which is why there are so many marriage proposals (about 6 million!) exactly on this day. How did it all start, do you know? Unfortunately, there are no clear records of how Valentine’s Day originated. What we know for sure is that there were a couple of Catholic priests who were called Valentines and who were martyred in the third century. For one of them it is said that he tried to convert the Roman emperor Claudius to Christianity, which is why he was executed. But while he was in jail, his jailer’s daughter visited him and he cured her blindness. They possibly fell in love and he left her a note which was signed “Your Valentine”. That’s how the expression “From your Valentine” supposedly originated. Another Catholic priest called Valentine was persecuted by the Roman emperor because he performed marriages against the emperor’s command. Again, this is a legend so we can’t be sure this is what really happened. But according to the story, the emperor forbade his men to marry because he believed they were stronger in wars when not distracted by women and marriage. However, the priest disobeyed the order and married lovers in secret. However, the secret was revealed and Valentine was executed. Some people also associate Valentine’s with a pagan Roman fertility festival Lupercalia which was performed mid-February in the early centuries of the new era. 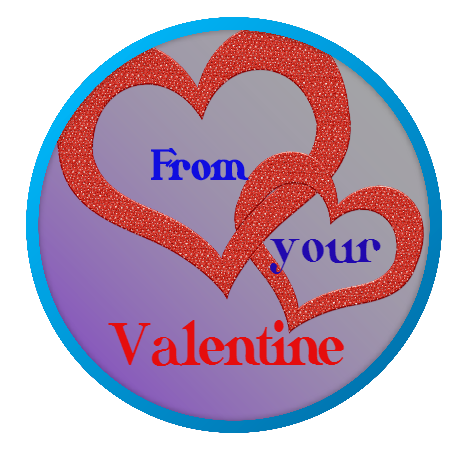 However, it was only centuries later that February 14th and Valentine’s Day became associated with love and romance. If you’re among the majority of people who get excited about Valentine’s Day and like to honor the day by doing something extra romantic, here’s an idea that will certainly make your holiday surprise a little different this year. 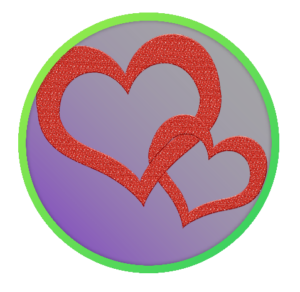 Make unique romantic labels using Labeley, the free online label maker. First we’ll show you how to do that, and then we’ll tell you how to use the labels. Visit Labeley and Start Designing. Choose any of the categories that Labeley offers and explore their design options (graphics, backgrounds, fonts). Then settle on one category that you like the most. Don’t worry if you don’t find any graphic that you like for this particular occasion. Labeley allows you to upload any image you want and completely personalize your romantic label. Let’s say you choose the General category. 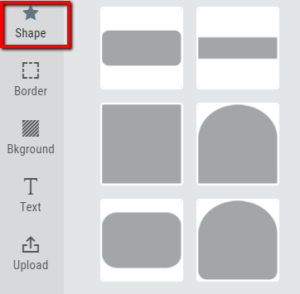 Click on any shape you like on the left hand side. Now click on Border and Background options to select design options that you like. This is the only category that doesn’t have graphic templates. Go ahead and click on the Upload option to select any romantic image you want for your label. It can be a photo of your partner, or any other love symbol you like. Search for appropriate image on some free photo sharing website. 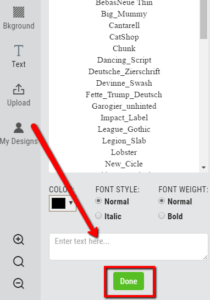 Now go to the Text option and click on Create Text. Here you’ll be given numerous options for writing out appropriate text on your label. Write in the box that says “Enter text here” and choose your desired font, color, width, etc. Now you can go ahead and print out several of these labels and apply them to different objects in your home, so that your partner can keep finding them all throughout the day. First, you can put them up on a visible place: on curtains, the door (so they’ll see the note when they leave for work), on the refrigerator. Then you can apply them to the toothbrush, remote control, inside the book they are reading, etc. Let love guide your imagination! You can also simply send this label as a card the traditional way: via snail mail. Hopefully you’ll have fun exploring Labeley and ways it can help you plan the perfect Valentine’s Day. Enjoy spreading the love! Labeley.com is the completely awesome, fun and free way to design labels online. It's easy. No design experience needed! Design labels for your kids and your homemade products, or create drink labels for special occasions such as weddings, parties and anniversaries.